The “Brief Workout” Trend – Are You Exercising Enough to Hit Your Goals? I enjoy brief workouts, especially during the summer when I am active. I think this emerging trend of quick workouts is great, but how brief can you go before you aren’t exercising enough? Can a few 30 minute workouts per week really give you the same results as 4-5 one-hour workouts per week? In my opinion, there is a time element involved to getting in peak condition. Even if you train hard, you can’t expect to reach a high-level of conditioning just putting in a few 30 minute sessions per week. Perhaps the reason you haven’t been able to lose those last 5 pounds or don’t have defined abs is simply that you aren’t devoting enough time to exercise. When I was a younger guy in my 20’s, I hit the gym 5 times per week. My workouts were 1.5 to 2 hours per workout. Yes, I realize that this is excessive! I was spending close to 10 hours per week exercising pretty hard. As I reached my 30’s this frequency was closer to 4 times per week. When I train 3 days per week, I am always slowly sliding back. It doesn’t matter if my goal is fat loss or gaining strength. I can maintain a look for a few weeks, but will eventually lose ground and need to increase workout frequency. Again…I am not saying this is true for everyone. Training 5 times per week works well too…but 4 workouts per week is the point where I can make positive progress. Anything less than 4 workouts per week will result in regressing a bit. I could train 5 times per week, but then it comes close to “living in the gym” (although I will do this for 6-8 weeks in Spring each year). What About the Time Per Workout? I have gone through periods where I trained as long as 2 hours per workout, which was madness. These days, I seem to get my workout done in almost exactly one hour and 15 minutes. I spend 45 minutes of lifting and a total of 30 minutes of some sort of HIIT and steady state cardio combo. I have tried to train less than that and it just doesn’t seem to do the trick. Either I don’t stay lean or my muscle definition and strength levels suffer. Summer is a different story…the extra physical activity can keep you lean with less official workouts per week. I hate to say it, but even the most intense HIIT for 10 minutes isn’t as effective as mixing in HIIT type cardio with an additional 20 minutes of steady cardio. 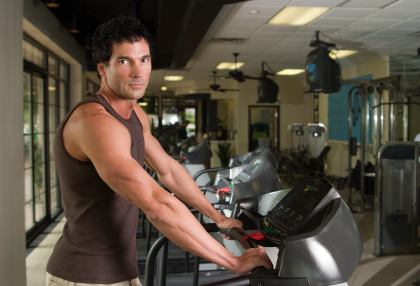 It is trendy to look at steady state cardio as a waste of time. The problem is that most people compensate with the additional cardio by eating more. If this is the case, then it is a waste…BUT if you add in this extra cardio while maintaining a calorie deficit you will see consistent visible results. Intense cardio is good, but you do have to put some time into cardio if you want to see what it can really do for you. When wanting to get really lean I follow a “30 minute rule”…I have to get in at least 30 minutes of cardio after every session of lifting. I have never failed to predictably lose fat, getting as lean as desired following this cardio rule. Exercise 5 Days Per Week to Reduce the Common Cold? The Wall Street Journal (Jan 5, 2010) talked about the effect frequent exercise had on the common cold. Dr. David Nieman conducted several randomized controlled studies showing that people who walked briskly for 45 minutes, five days a week over 12 to 15 weeks had fewer and less severe upper respiratory tract infections. Over 4 Hours of Exercise Per Week to Extend Life? A study in Israel which was reported in the Archives of Internal Medicine (September 14, 2009), examined physical activity and survival rates. 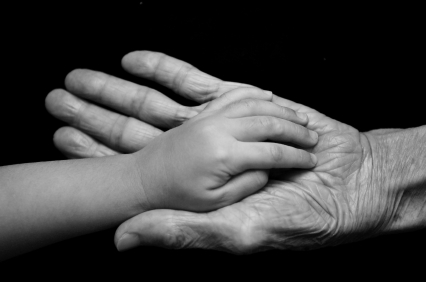 The researchers examined mortality data for 1,821 people for 18 years, from ages 70 to 88. Subjects were classified as sedentary (less than 4 hours a week of physical activity) or active (four hours or more, including vigorous exercise, such as jogging or swimming, at least twice a week). “Among physically active vs sedentary participants, respectively, at age 70, the 8-year mortality was 15.2% vs 27.2%…at age 78, the 8-year mortality was 26.1% vs 40.8%…and at age 85 years, the 3-year mortality was 6.8% vs 24.4%”. Basically, those who were physically active for at least 4 hours per week, significantly outlived those who did not exercise as much. It made a bigger difference as people aged. Check out those figures at the age of 85! To me, the benefits of training over 4 hours per week outweigh the negatives. Obviously some exercise is better than none, but I am going to do my best to create a new rule for myself…the “4 hour per week” exercise rule. I will do my best to get in at least 4 hours of exercise per week. It doesn’t always have to be a gym workout, but I will do my best to hit that number. These studies aren’t the only reason I am doing this. My experience has proven (at least for me) that it takes at least 4 hours of exercise per week to stay in peak condition. I would love for you guys to give me feedback. Has anyone been able to get really lean off of much less than 4 hours of exercise per week? If time wasn’t a limiting factor, what feels like the ideal amount of exercise per week? How often should workouts be for a beginner who wants to lose weight, and how long do you recommend the workout lasts? In terms of beginner, I’m talking about someone who hasn’t had a hard workout in a long time, and someone who has asthma. Just found this site and book marked it. What is your takes on Interval training for fat loss, two or three uncompeting exercises with very little rest in between sets. Followed up by Hitt training on treadmill. Im doing these now, and while Ive never been more winded working out both with weights and then on the treadmill, im wondering if I should add some sustained cardio as well. Weight is dropping off, but I probably could credit that to diet as well. Whole workout takes about 45-50 minutes 3 times a week with biking 30 minutes- easy resistence- 3 days a week. Anything less than 4 times a week just gets me off my game. Working out 4 or more times makes it part of my lifestyle. I’m a little late on this one but great article. I did Crossfit exclusively for about a year and though I gained strength and muscle development I wasn’t quite leaning out the way I had hoped. Now my diet wasn’t perfect, but I am very health and weight conscious so I do watch what I eat. But you gotta wonder just how effective a 4 minute workout actually is. When I went back to my longer workouts I noticed a significant difference. I think there is a place for the shorter workouts but my body seems to need the longer ones more consistently to maintain the look that I want. I’ve lost 70 lbs from just 3 days a week of gym .. totaling 2 hours 15 mins. Hi Rusty, i usually follow up my HIIT training with a brisk walk for like 30-40 mins. Would this count as the steady state cardio portion? Been reviewing all your posts – came here to find out how to lose muscle mass safely. THere are plenty of comments about how women can never gain muscle – which is utter crap. 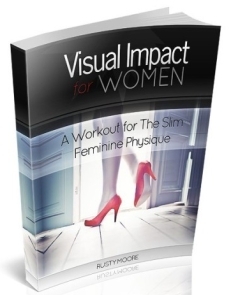 Some women naturally have more testosteone and will therefore gain muscle mass – LIKE A MAN. Anyway – so I want to drop mine (muscle mass, legs/traps/glutes/biceps). Like your “matharon cardio” idea – but i have rather large bust and it’s not comfortable or enjoyable to run. eg – skiing, squash, swimming, tennis. I find squash gets me red in the face and drenched in sweat. Can’t be doing me too much harm. plus you are stopping and start, serving etc. Would it count as a kind of HIIT? I like the fact you are mentally challenged as well as physically – i think that works better for me- it doesn’t allow me to be lazy. But I am going to try your skipping rope (jump rope?) 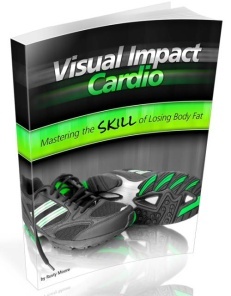 and the 15-20 mins walk/jog/walk/jog as well as the ace sounding Primal Blueprint. Great post and touches on a subject that has me perplexed with all of the conflicting info from the net “gurus”. 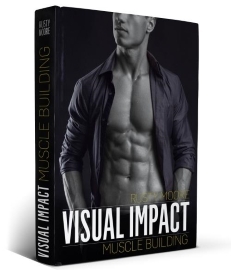 I’m curious if you’ve ever tried Jon Benson’s 7 Minute Muscle Program. It seems to get great reviews and is backed by some reputable people. I picked it up and haven’t had the chance to experiment with it and am no a little hesitant considering the gist of this post. Thanks. Oh 4 hours is better than nothing. I would say everyone can devote four hours to their physical fitness this is not a lot of time. Hi there, I’m new to your site and so far I’ve been loving the posts. Since August, I’ve been doing short high intensity workout (15-30 minutes) 5-6 times a week and been gaining lots of strength. I really love reading your blog, thank you for all of your great information. Lately I’ve been working out about 4 times a week as well for about 20 to 25 minutes doing HIIT and a bit of resistance. It sure does take more then 30 minutes to truly get a good workout session in. Although at the same time you shouldnt start working out by staying in the gym for hours, and doing more isnt always better. Find what works for you and who knows maybe an hour is more then enough for you. I am 47. If I do not get in 4-5 one hour workouts a week I lose ground. For me the key is core exercises. Once I implemented those I increased my strength in almost every area with the ability to reduce my workout times. I think 20-30 minutes workouts with compound movements are the best (2-4 exercises, 2-3 sets). 1 set of lat pull downs or pull ups till failure, 1 set of push-ups (or dips) till failure, rest and then repeat for 3 total times. Sometimes i add 2-3 set of shoulder press or upright rows. At the end of workout i run 10-15 minutes. I think perhaps you are a similar build to me (I’m 193cm and about 87kg). I would say I am one of the, if not the leanest in the gym and I only do 4 x 45 minute sessions per week. I am a carpenter so I have an active job, active enough to make me tired at the end of each day but I don’t work up a sweat often if I can help it. At the gym i never do cardio only weights (I’d rather run on the beach or surf in the summer or something less lame than a treadmill). I lift 70- 100% of my 1RM with low reps and try to stay away from failure each set (no spotters allowed!) and I try to only do useful compound movements like pull-ups, bench, deadliest etc. Its going pretty good! I find after a day at work i don’t have the energy for a longer workout. Still getting lean and stronger. Also I find that if I do anymore I get into the realms of over training perhaps because the quality of my sleep goes out the window. Any advice Rusty? I’d love to train more but I fear it would be detrimental. Previous post: Is There a Vet Around Here? (Flexes Biceps) Because These Pythons Are Sick! Next post: How to Gain Muscle and Lose Fat at the Same Time?